This year my daughter has been in love with the Harry Potter book series. When we started planning her trip to Disney with her Dad she wanted to represent her favorite Hogwarts House. 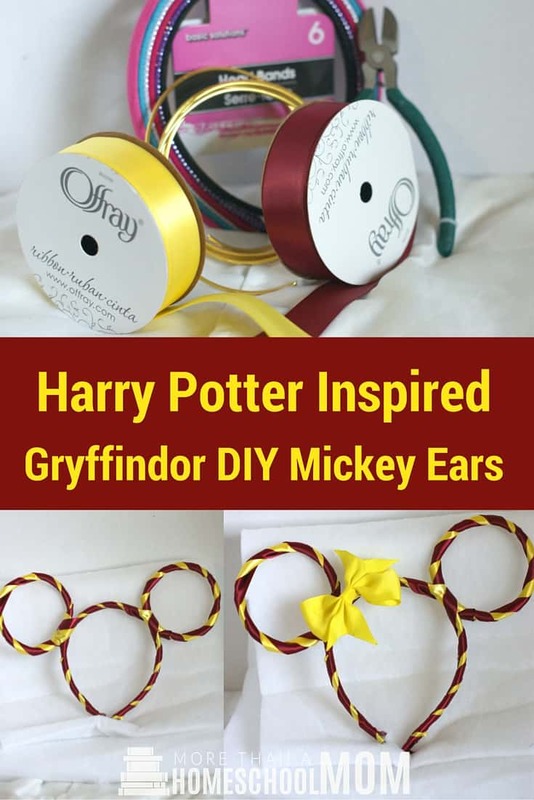 I reminded her that Harry Potter is at Universal but she wouldn’t be swayed so I put together these Harry Potter Inspired Gryffindor DIY Mickey Ears for her. These are fairly simple to make if you are looking for a fun way to save money on Disney souvenirs on your trip. I was not paid for this review. All opinions are 100% my own. I did receive a copy of the book to facilitate my review. My daughter has chosen this year to read the entire Harry Potter Book series. This means that everything Harry Potter is huge in this house. When I was approached to review The Unofficial Guide to Crafting the World of Harry Potter I was excited to give it a try. One of the ways R and I spend time together is through crafting. I knew that this would make her happy while giving us things we could work on together.